The Grenada Steel Bands Association is appalled at the level of outright disrespect, which has been levelled at its membership in recent years and particularly over the past 2 years, by the Spicemas Corporation led by CEO Mr Kirk Seetahal. As a direct result, members of the GSA are calling for the resignation of Mr Seetahal and the entire board, as they have once again proven that they are NOT capable of handling such a key and critical position. In light of the Spicemas Corporation’s lack of respect for the art form, there will be no Panorama on Saturday 19 August as previously stated. The Association demands, however, that all bands registered for the 2017 Panorama competition be fully compensated. It must be known the GSA was in no way responsible for constructing any stage for Panorama. The Association simply facilitated the process by putting the two parties in contact with each other to ensure the stage would be completed in time and to specification. 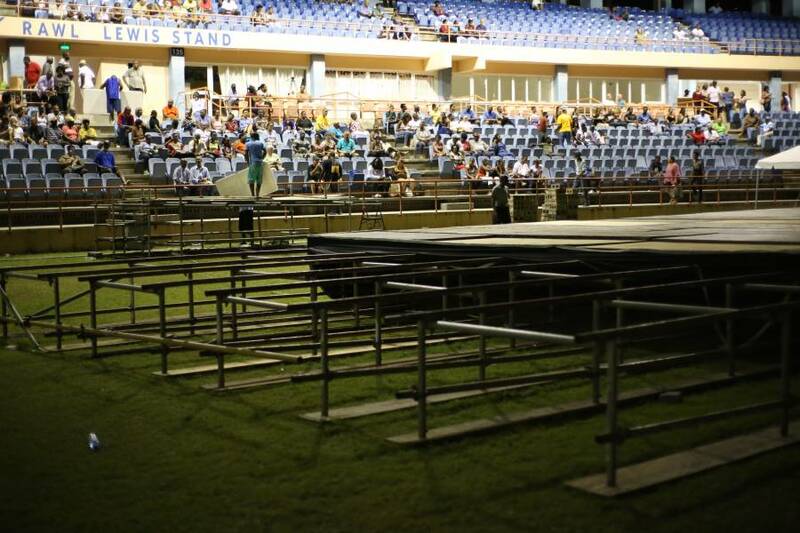 The Association again calls for private competing events to be removed from nights when national Carnival events – including Panorama – are held, and wants the SMC investigated for its dealings with the promoters of Xtreme White.